Pokémon: Let's Go, Pikachu! and Let's Go, Eevee! (Nintendo, Fri 16th November, $59.99) Take your Pokémon journey to the Kanto region with your energetic partner, Pikachu or Eevee, to become a top Pokémon Trainer as you battle other trainers. 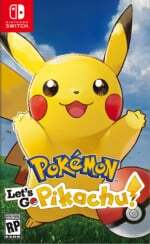 Read our Pokémon: Let's Go, Pikachu! and Let's Go, Eevee! review. 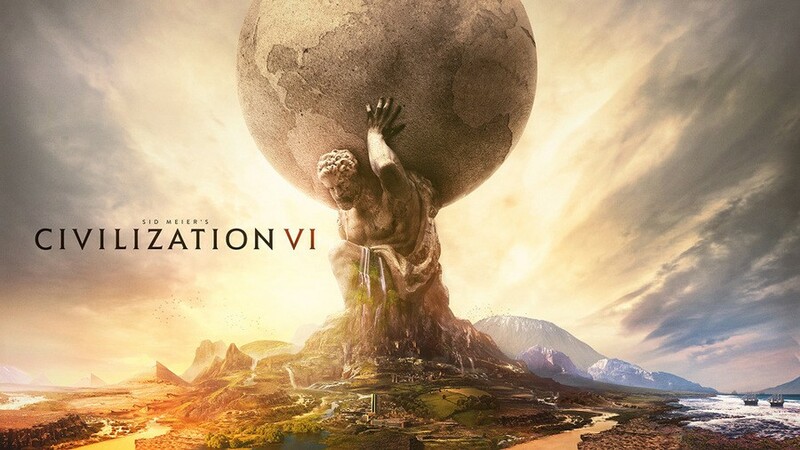 Sid Meier's Civilization VI (2K Games, Fri 16th November, $59.99) Originally created by legendary game designer Sid Meier, Civilization is a turn-based strategy game in which you attempt to build an empire to stand the test of time. Moto Racer 4 (Microids, Tue 20th November, $34.99) Moto Racer 4 is a racing game you can play on asphalt or dirt. In a world where freestyle and risk-taking dominate, impose your riding style all around the world. Impress your opponents and win races with class! Master drifting, wheelies, sharp turns and other techniques to earn a place on the podium! Customize and upgrade your bike! Progress through Moto Racer 4 and take in the stunning environments. From the United States to the Himalayas by way of the desert, Moto Racer 4 takes you through perilous, breathtaking courses at 100 miles an hour. Warframe (Digital Extremes, Tue 20th November, Free) Warframe is entirely free-to-play. With no barrier to entry, there’s nothing to stop you and your friends from joining our world. Welcome to the Origin System, Tenno. 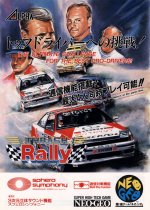 ACA NEOGEO THRASH RALLY (Alpha Denshi, Thu 8th November, $7.99) “THRASH RALLY” is an original racing game released by SNK in 1991. Two game modes "World Rally Championship Mode" and "Rally Mode" have been featured. Travel through cities and the countryside as you make your way through the various courses. Arcade Archives Urban Champion (HAMSTER, Co., Fri 9th November, $7.99) “URBAN CHAMPION” is a beat 'em up fighting game, first released by Nintendo in 1984. True to its namesake, fighting men duke it out, fist to fist, for the title of "Urban Champion"! Go into battle with light and heavy punches, as well as dodging and other defensive manoeuvres. Take on a 2 player battle, and try to read your opponents' moves to become the victor! 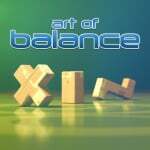 Art Of Balance (Shin'en Multimedia, $8.99) Art of Balance, one of the all-time best physics-puzzlers (88% on Metacritic) has finally made its way to Nintendo Switch. Puzzle games must be addictive. That's why we designed 200 levels to not only challenge your skills but also your imagination. With its tight controls, Art of Balance is easy to pick up and hard to put away. Circle of Sumo (Belka, Fri 16th November, $9.99) Have fun with your friends with the great award-winning Circle of Sumo! COS is simple and compelling at the same time, with a lot of different challenges. It's pure fun! Croc's World (Sprakelsoft, Fri 9th November, $4.99) Croc's World is a really nice jump'n'run with 60 incredible levels and many challenging enemies! 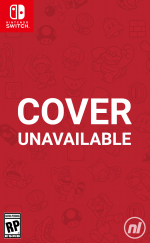 It features 60 incredible levels + Nice graphics + 4 different themes + many challenging enemies Instructions: Jump and run through the levels and dodge all enemies. Collect a helmet to crush stoneblocks. Collect the stonebag to throw stones. If you collect 100 diamonds you´ll get an extra life! Desktop Soccer (SAT-BOX, Wed 21st November, $7.11) The desk is your field! Lace up your shoes for a simple yet challenging soccer game! Share the Joy-Con controller with up to 4 people for a soccer free-for-all! Make your own original team by adjusting formations and positions! Aim to win the tournament! Johnny Turbo's Arcade: Heavy Barrel (FTE Games, Today, $7.99) Fight through the enemy's army and collect pieces for a secret weapon to destroy their underground artillery base. M.A.C.E. Space Shooter (EntwicklerX, Today, $4.99) M. A. C. E. is a classic 2D space shooter game. The player navigates a spaceship across three different worlds with 6 vertical scrolling levels and various enemies, trying to destroy or avoid them. Mahjong (Bigben Interactive, Tue 13th November, $9.99) Play a Zen game! Rediscover the famous traditional Chinese game. Find all the matching pairs of tiles, being careful not to become blocked in, to get to the end of each level. Concentration and perceptiveness are needed to finish the gorgeous boards that we have produced for you. Mars: Chaos Menace (BLG Publishing, Fri 16th November, $9.99) We are in the Terraforming age after saving our homeworld, Earth, which was collapsed by radioactive contamination and the depletion of resources. Now, humans are successfully colonizing nearby planets, using technology to adapt these inhospitable and hostile places. Mimpi Dreams (Dreadlocks, Today, $9.99) Mimpi is a lazy doggy who becomes the “Superdog” in his dreams. Help him to save his friends by manipulating the environment of 7 original illustrated worlds in this charming mix of adventure, puzzle, and platformer. 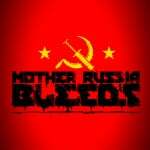 Mother Russia Bleeds (Devolver Digital, Today, $14.99) Mother Russia Bleeds is an ultra-violent co-op brawler overflowing with an unmistakable style and unforgettably brutal action for up to four players at once. Set in an alternate U.S.S.R, the story centers on a desperate crew of imprisoned street fighters that must overcome an oppressive criminal authority and forced drug addictions through any means necessary. 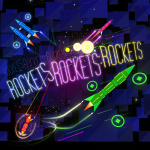 RocketsRocketsRockets (Radial Games, Today, $4.99) ROCKETSROCKETSROCKETS is a game where you fly ROCKETS that rocket ROCKETS at other ROCKETS! The ultimate rush of arcade arena action, with the fluidity and amazing feel of soaring through space. ROCKETS. We feature only the finest interstellar vehicles. 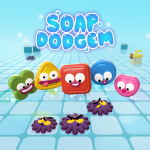 Soap Dodgem (Zsolt Fabian, Today, $6.89) In Soap Dodgem your goal is to help your happy soap friends get back to their soap holders and clean as many mould creatures on the way as you can Use a familiar sliding puzzle gameplay with unique bathroom obstacles! Solitaire Battle Royal (MAKING, Today, $9.99) Equipped with battle mode! Two-player battle mode compete for clear speed! Of course, you can play it carefully by yourself. Beginners are enjoyable too! There is also a mode that you can play easily! The tasks are 3000 questions! 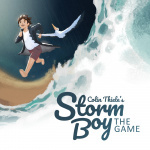 Storm Boy: The Game (Blowfish Studios, Tue 20th November, $5.99) Based on Colin Thiele's 1964 children’s book of the same name, Storm Boy takes place on the beaches of South Australia near the mouth of the Murray River, where the titular protagonist rescues orphaned pelican chicks, one of whom later becomes the child’s pet and faithful companion, Mr. Percival. Tinboy (Interactive Stone, Today, $1.99) A brilliant scientist creates a humanoid little robot. She then tests her creation by placing it in different environments. Using a special bow, the robot must reach the exit of every environment. Take control of the robot and solve the scientist's 60 puzzles. 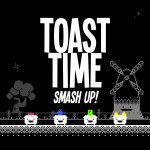 Toast Time: Smash Up! (Force Of Habit, Fri 16th November, $9.99) Fresh from the oven, Toast Time: Smash Up brings the unique toast-based recoil/reload action from cult smash hit Toast Time to the multiplayer brawler/esports genre. Trailblazers (Rising Star Games, Today, $29.99) Get ready for high-speed thrills with an explosion of colour in Trailblazers, the first-ever second-to-second co-operative arcade racer. Paint the track as you go to dynamically change the racing line, boost on your team's colour and outwit the opposition in a sprint for the finish. 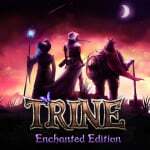 Trine Enchanted Edition (Frozenbyte, Fri 9th November, $14.99) Trine Enchanted Edition is the origin story for the three unlikely heroes of Trine - Amadeus the Wizard, Pontius the Knight, and Zoya the Thief. Spellbound by the magical object Trine, the heroes must join forces to overcome obstacles and puzzles in a fully interactive physics-based world, battle the undead and their minions, and restore balance to the kingdom! Valiant Hearts: The Great War (Ubisoft, Thu 8th November, $19.99) In Valiant Hearts: The Great War®, the lives of all the characters are inextricably drawn together over the course of the game. Friendship, love, sacrifice, and tragedy befall each one as they help one another retain their humanity against the horrors of war. Read our Valiant Hearts: The Great War review. Youtubers Life: OMG Edition (Raiser Games, Tue 20th November) Create videos, get subscribers, attend events, interact with your fans… and grow your channel. Live a true Youtuber’s life! Record your own videos from your parents’ house and get your first subscribers, views and likes. Meet well-known Youtubers, go to the wildest parties, share your life on social media and deal with your haters. Would anyone like Alex to review this for us? If so, tag him in the comments below! Last Soldier (RandomSpin, Today, $0.99) The mission was a complete failure, you are the only survivor. You are trapped in a secret area where huge spiders inhabit. Now your goal is to stay alive. Pinball Breakout 2 (nuGAME, Today, $7.00) Pinball Breakout is a breakout game which combines the game mechanics of a traditional breakout game and a flipper game. Play through 15 exciting levels as you aim for a high score. Still saving for smash. No time for anything else! Getting let's go physical and if I can find it the mario party bundle. If I can't I will get 100 in eshop and then hack down my wish list. I want civ but I am trying not to have a massive wishlist and it is almost at 200. God, I am so excited to pick up Civ 6, but.....I really want to tackle Blighttown this weekend! I'm totally going to get it, but I may make it my Thanksgiving weekend purchase! Dammit, Hamster. Stop teasing us and drop Puzzle Bobble already. Wasn't SEGA AGES: Phantasy Star supposed to release today? What happened? @BanjoPickles "want", "Blighttown": I don't think I've ever uttered those two words together in a sentence and I'm on New Game +5. @BanjoPickles I'm reluctantly delaying my Civ 6 purchase too! I'm definitely getting it, but Diablo 3 is taking up my time right now, and then Smash is creeping up, and then it'll be new Super Mario Bros U Deluxe because I'm a sucker for Mario... so yea... Valentine's Day treat I guess? Is that a thing?! Getting Civilization physically. Can't wait, I love those types of games. Civilization VI, Trine, & Valiant Hearts for me. I have succumbed to Pokemon Eevee. Yeah, I am still getting it. Darn, you Nintendo. This makes a perfect Birthday present to myself. 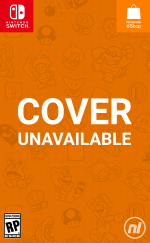 A Wii U game called "Last Soldier" how appropriate. I want to get youtubers life purely for the irony of playing it on my youtube channel. Move over Fortnite, Solitaire Battle Royal is gonna be the real deal! @alex olney should definitely review Youtubers life! Does it seem weird to anyone else that the trailer for "Youtubers Life: OMG Edition" (which I assume is not licensed by YouTube, but maybe it is?) is still available to watch on YouTube? Maybe it's actually about life as a potato, though. You tubers. Still fully engaged in Diablo 3 but i'll grab Civ 6 later and probably will get Warframe also, just to see if it is something for me. I'm getting Civ 6 (probably physical) and Pokemon Let's Go is being sent via amazon. 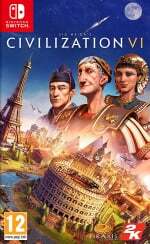 I played Civ 2 or Civ 3 with a friend years ago but I've never owned a Civilization game myself. I think it's perfect for Switch. I can't wait to waste hours and hours on it. @DrJiggle You Tubers may be a more enjoyable premise. Potato farming for clicks!! What happened to Phantasy Star? I was looking forward to playing that. I have Let's Go Eevee coming in the mail tomorrow! Seriously hyped for it. My backlog is too big for anything else this week. Plus I still need to try and get this current season's rewards in Diablo III and 100% The World Ends With You. Haha! Yeah, I've plowed through Demon's Souls, Dark Souls, most of Dark Souls 2, Dark Souls 3 (twice), and Bloodborne, and I still dread the crap out of Blighttown! A part of me almost wants to take a Souls break and pick up Civ 6, or Red Dead 2. If I pick up Civ 6, it's a diversion, but if I pick up RDR2 it is going to consume me for the next several weeks! These are totally first-world problems, btw. If you love yourself, then that's totally a thing! Just make sure to get yourself a box of chocolates and a card to go with it! Then it's legit! Just Pokemon and Warframe for me this week. Mother Russia Bleeds is headed to my library. I just can't resist. Nothing worth getting this week, my money is now save for Super Smash Bros. Ultimate, Battle Princess Madelyn, Tales of Vesperia, and the Sega Genesis Classic Collection. Im getting Pokemon Let's Go Pikachu and War Frame for sure. I really want want Civ 6 but want to wait for more reviews first. Ign review was barebones but promising. Mother Russia Bleeds also looks interesting. Time for the flood gates to open. I haven't bought much lately but thats going to end now too many good games coming up led by Pokemon and Smash. FYI - Runner 3 is on sale in the Switch eShop (US) for $9.99 from $29.99 for the next two weeks, it had an update on Tuesday adding easy options as well. Website isn't showing $9.99 and I can't find it listed anywhere but I bought it yesterday. 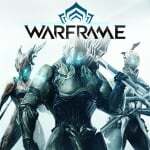 I'm interested in seeing how Warframe runs on Switch. I enjoyed it when I first got my PS4 but haven't kept up with it, and have been pondering giving it another try. Nothing else on the list really tickles my fancy. I'm still playing MHGU and Hollow Knight, got Dust a week ago and have been diving in and out of Shining Resonance Refrain, so I'm pretty satisfied with my gaming options right now. I wanted Civ 6 but didn’t have the cash after buying Let’s Go Pikachu. Thankfully Civ 5 went on sale on steam with all expansions for like $12. So I bought Civ 5 instead of Civ 6. Wait a minute... Art of Balance was released weeks ago. What gives? 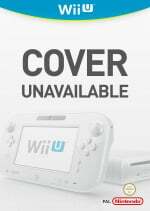 EDIT: Apparently a demo for it is coming out today which isn’t mentioned in the article. I believe this is just the PR breakdown straight from Nintendo. So NoA is to blame when they are a week late to announce HAMSTER games, and when they don’t include games, like for instance Super Hydorah this week. I’m looking forward to seeing how Warframe runs on the Switch. Civ VI preordered here. Can't wait to get to play tomorrow morning. Getting both let's, go games. Let’s Go Eevee for me physically and that’s it until Smash. Thinking about grabbing Warframe, not sure if the cross platform got shored up on this, or at least account transfer. I've got a decent amount of time on the PC version. Hmm, Phantasy Star is missing. Did the date slip again? @Agramonte Honestly really impressed with some of the Black Friday Nintendo deals. I'm gonna be getting at least a couple games. @rjejr Been planning on buying Runner3 physical but I can't argue with 10 bucks for digital. It’s been like 3 months where is picross e9? Definitely want an @alex review of the YouTube game. @Indielink Yeah, they great this year all around. Also trying for Tropical freeze and Kirby at $35 and Lego The Incredibles for $20 for Christmas gifts. South Park: The Fractured But Whole for $17 at Walmart is crazy. I wasn't just referring to the NL post, Super Hydorah wasn't available on the actual console shop when everything was already up. It did show up about 2 hours later. But your point is a very good one anyway. @Indielink Sorry I can't find a link, but it should be $9.99 on the eShop in the US. I prefer physical as well but $40 vs $10, not that much. HOORAY! WE have Urban Champion on the Switch! Clearly the greatest game Nintendo has ever made! And Mahjong, I'm sorry "Shanghai" is neither Chinese nor traditional. Not unless Activision is Chinese and "traditional" means 1987. Solid week. I'll (eventually) get Civ VI, Pokemon and Valiant Hearts. Right now my money is going towards BF deals and Smash. Already pre-downloaded Civ VI, 100% grabbing Warframe, couldn't possibly care less about anything Pokemon related. Thrash Rally? More like Trash Rally! There's a few things I'll BBRP at this week. Arcade Archives Urban Champion — Arcade version of a divisive game. I've neither hated nor loved the game, but I don't think it is quite as deserving as the bad rap it receives, but that's my opinion. I've literally only dabbled in it, but I enjoyed it's simplified fighting and subtle strategy. Backlogged for the time being til I can clear off a few other "Buys". Art Of Balance — Loved the demo on Wii U... And never got it lol. I am not missing it this time. Before I had to choose between Wii U and 3DS, but now I can just get it for Switch and take it everywhere. This will be a "Buy" as SOON as I possibly can get it. Johnny Turbo's Arcade: Heavy Barrel — Always heard of Heavy Barrel, but never dove it (criminal, ain't it?). Buying as soon as I can, backlogged for now. Me and old-school-runnin' gamer pal with run this. Mars: Chaos Menace — Intriguing...? "Sounds" interesting to me, but I don't know what it is. Need more input, lol! Pass for now. Mother Russia Bleeds — HELL. YES. CANNOT. CONTAIN. SELF. BUY!! Seriously though, this is some next level beatmup action, and I love how visceral it is. Gonna grab this one before the censor police come and take it down from the eShop lol. 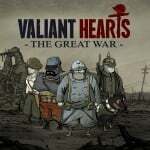 Valiant Hearts: The Great War — I'm a sucker for a narrative, and I'm digging where the game is coming from. Backlog for now and I'll await a sale. Warframe — Unlike some of the other F2P, I like what I've seen of this so far, so I'll at least give it a spin. Guess this would be a "Buy" then. @alex YouTube review please. And tell stories about all the wild parties you get to go to. SMITE is only for Europe? Pokemon and Civ for me. Hard to choose which to play first. The SSB Pro controller should be arriving in the mail today too. Finally picked up Dark Souls. I’ve been enjoying that. Hope to get SNK tomorrow, and eventually Diablo 3. Backlog has gotta chill for a bit. Finally got Witcher 3 on PS4 and its glaring at me as I play DS:R on Switch. Urban Champion is such a great paper, rock, and scissors style fighting game. I'm picking up Lets Go Pikachu tomorrow. Civ 6 is definitely on my radar now too. I’ll definitely be picking up Pokémon no question. I really want Civ 6 but I don’t want to spend $60 on it. I’ll wait until it drops down to $30 to pick it up.